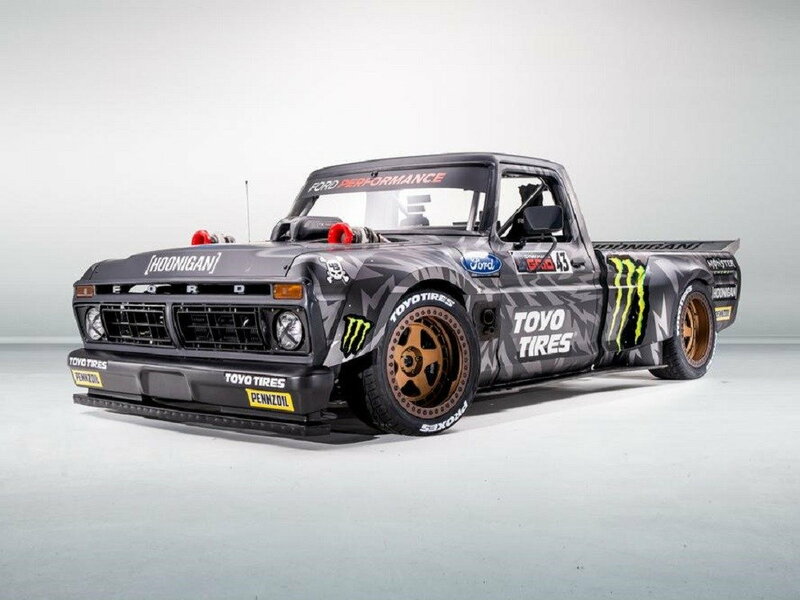 This might be my favorite build I've seen from ken Block yet — is this baby a beast or what? Wow! The editors will have a bunch more photos from the floor after SEMA starts, but until then, you can check out a bunch of pics here. I bet you people with project trucks are taking a long hard look at this now. It does look neat though. F150 shelby or f150 hennesy?.